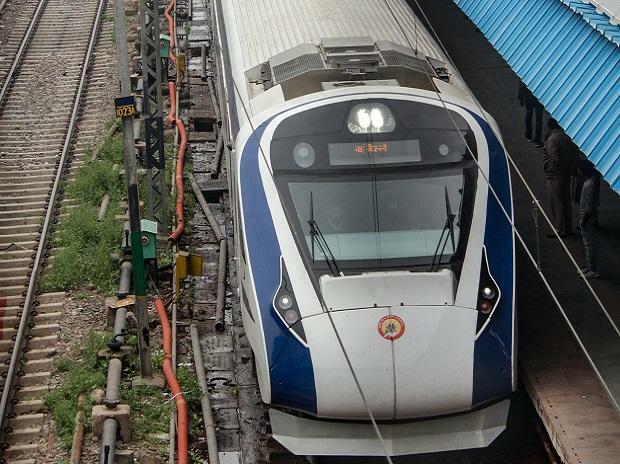 The Indian Railways has postponed launch of the second set of Vande Bharat Express (Train 18) trains, which was scheduled for April, because of the general elections. “The second set of Train 18 will not be launched now. There will be no new trains during election time. In case of starting summer specials and some festival trains, the (Railway) Board will take special clearances from the Election Commission,” said an official. The first set of these trains was flagged off on February 15 from New Delhi and completed the journey to Varanasi. Though the routes were not finalised, the second set of trains was expected to start operations April. According to the notification by the poll panel, the elections will be conducted in seven phases from April 11 to May 19, while the results are expected on May 23. Also, the Integral Coach Factory (IFC) in Chennai, which designed the first Vande Bharat Express, will be making 45 more trains by 2021-22. “As per the production programme issued by the Railway Board, this includes the second train coming out after the elections and third by October this year. After October, ICF will make one train every alternate month till March 2020 and one rake every month from April 2020,” a source said. The new plan comes after a few days of the protests at the Chennai unit over the proposed transfer of design and reassigning of the manufacturing of Train 18 to the Modern Coach Factory (MCF) in Raebareli. At least 12 Unions — including the Bharatiya Janata Party-backed Bhartiya Mazdoor Sangh, All India Railwaymen’s Federation (AIRF), Congress-backed National Federation Of Indian Railwaymen (NIRF), Centre of Indian Trade Unions (CITU) and the All India Trade Union Congress (AITUC) — had protested against the move. They later stopped protests after the Railways assured them that there will be more orders for ICF for the next three years. Taking into account of the cost of Rs 100 crore for the first rake, the ICF will now be having orders worth about Rs 4,000-4,500 crore for Train 18s only. Since these trains will have to replace Shatabdis and Rajdhanis in the longer run, the Railways had said in a statement on February 17 that it was planning to manufacture Vande Bharat Express trains at Raebareli to augment its production. According to sources, the ICF was successful in increasing its production by about 40 per cent in 2018-19. On the other hand, MCF was also successful in turning around its production profile, by increasing its number of coaches from 140 coaches in 2014-15 to around 1,300 coaches in 2018-19.